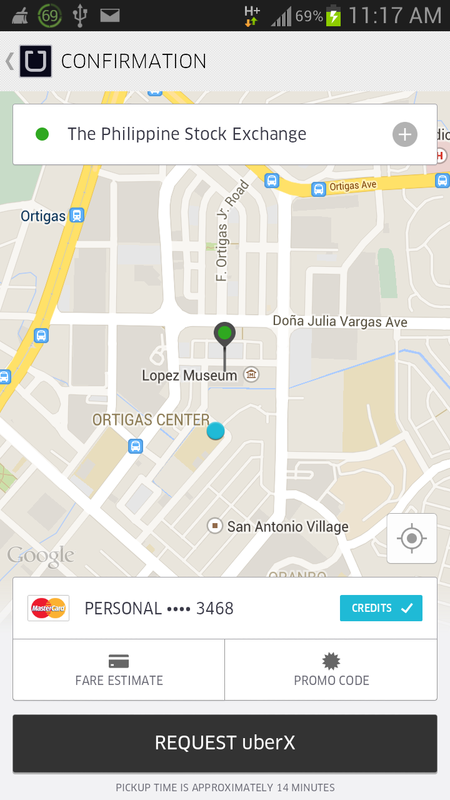 This post is about redeeming Uber promo codes. 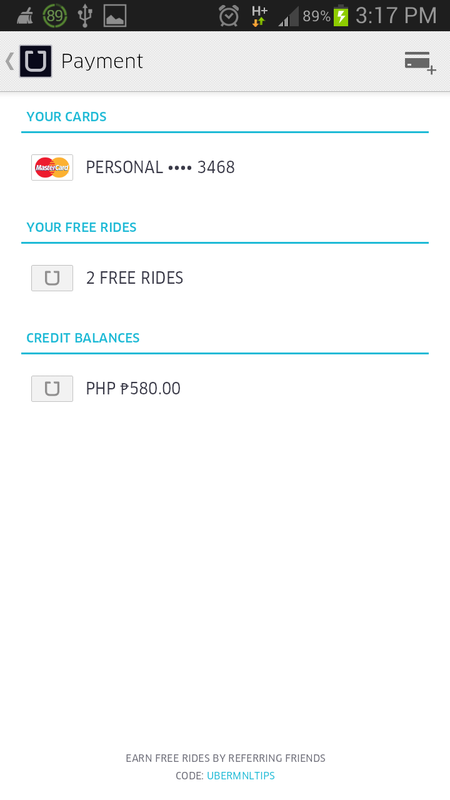 There are different types of promo codes, some gives discount on trip fares, some gives credits which you can consume and apply to your fare, some gives free rides up to a certain amount, some are location (pick up and destination point) specific, etc etc. The discount/ promo will then be reflected in your fare invoice after the trip. 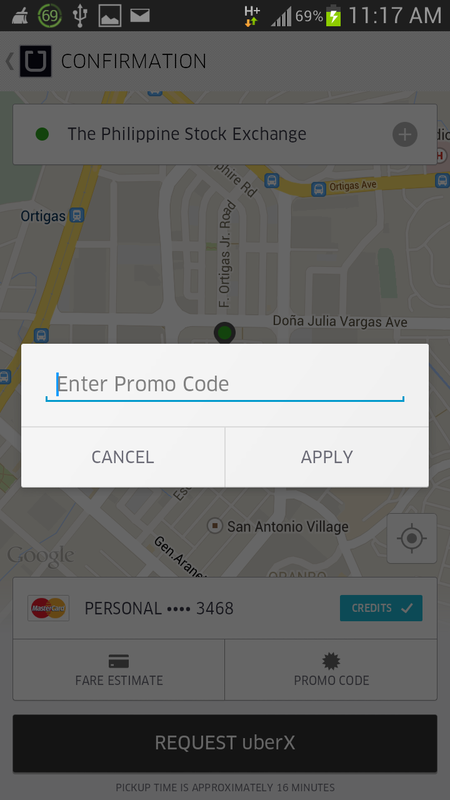 Here’s how you can redeem Uber promo codes. 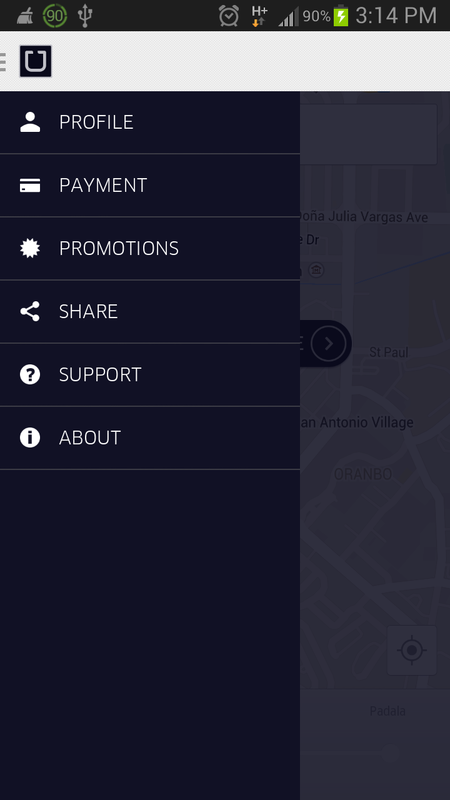 There are 3 ways; a) through the main menu of the mobile app, b) through the screen before you request for your ride, and c) on your web dashboard. Note: There are times when the command returns an error. 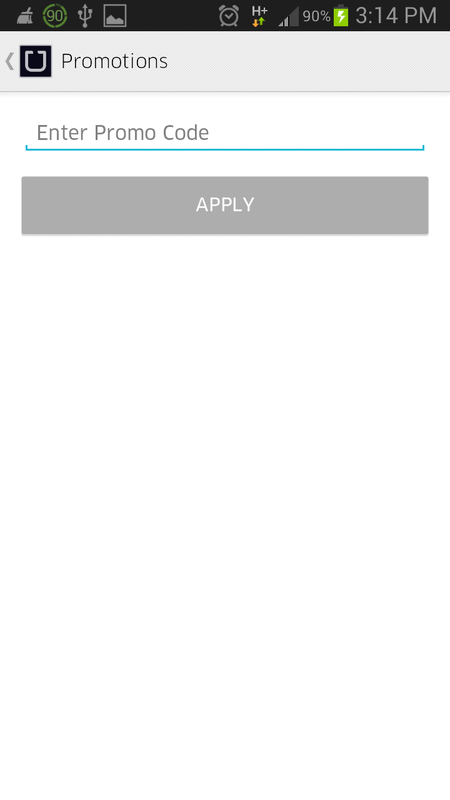 If that happens, just click “Apply” one more time and that will do the trick. If you’d like to check if the credits are credited to your account, simply go back to the Main Menu and click “Payment”. The redeemed credits should be reflected there, if it’s an Uber credit promo code. 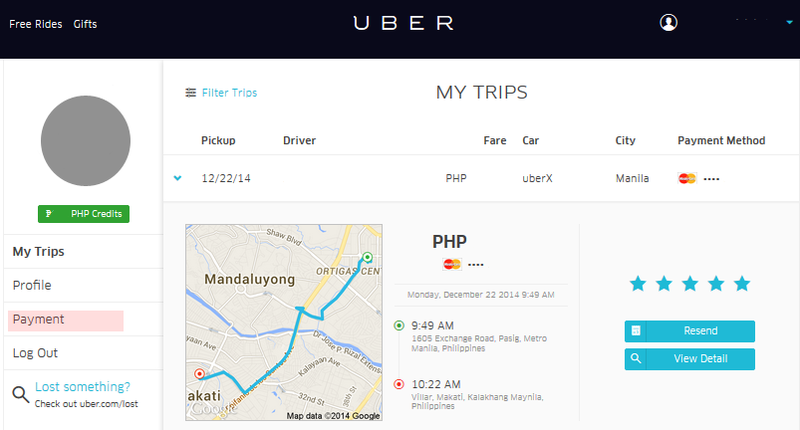 Redeem this promo code “ubermnltips” to get Php 200 Uber credits when you register to Uber. Warning: An Uber addiction can flare up at any point. 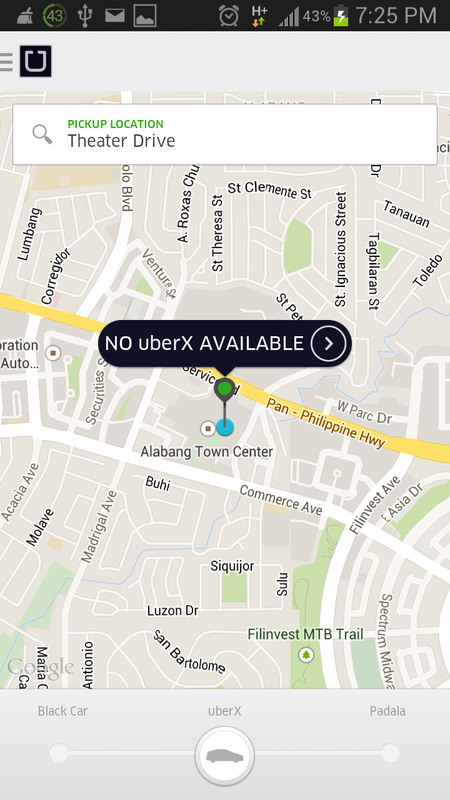 If you’ve shared an Uber with a partner without wearing a seat belt… you may already have it.